Last year we made this tasty BBQ sauce from the Big Bernardin Recipe Book. It became what we know today as our staple RIB SAUCE…it completes ribs. Add vinegar, brown sugar, garlic, mustard, paprika, hot pepper sauce, salt and spice bag to tomato mixture. Increase heat to medium and boil gently, stirring frequently, until mixture is thickened to the consistency of a thin commercial barbecue sauce, about 1 hour. Discard spice bag. We then pureed the mixture again to make it smoother and returned it to the heat to thicken a little more. Ladle hot sauce into hot jars, leaving 1/2″ headspace. 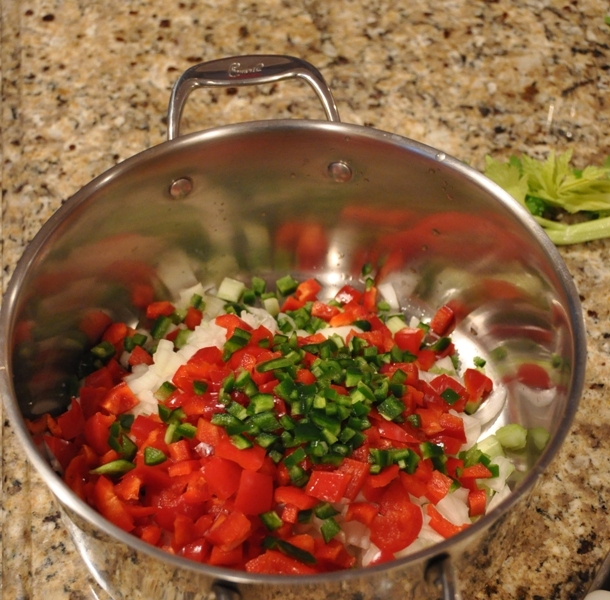 Remove air bubbles and adjust headspace, if necessary, by adding hot sauce. Wipe rim. Centre lid on jar. Screw band down until resistance is met, then increase to fingertip-tight. Place jars in canner, ensuring they are completely covered with water. Bring to a boil and process for 35 minutes. Remove canner lid. Wait 5 minutes, then remove jars, cool and store. Could celeriac be used instead of celery?